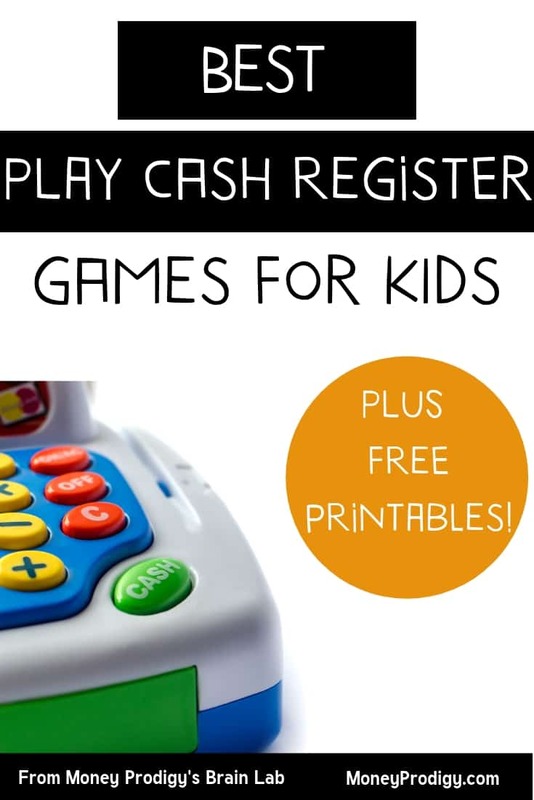 Check out these best play cash register games for kids to help your child learn how to handle money, how to count money, and even how to run a store. Are you thinking about buying a shiny-new, toy cash register for your child, but you’re afraid they’ll just push a bunch of buttons and not really get any money education from it? Or, maybe your kiddo’s had a play cash register for a few years, and you’d like to introduce more intentional play cash register games for your kid so that they learn things like how to count out change, how to identify coins, and how to run a store. I’ve come up with the best play cash register games for kids that will not only keep them busy (in a fun way), but will also make them a bit savvier when it comes to physical money. With over 494 reviews under its belt, the Boley Kids Toy Cash Register with scanner and credit card is clearly one of the top. To be honest, there seems to be a gap between kid cash registers and real cash registers. If you're stuck looking for the best realistic toy cash register…then I'd like to point out an option you may not have considered: the Pottery Barn Cash Register and Play Money. There are no actual reviews on it, and unfortunately, I haven't been given one to sample. But, out of all the cash registers I've looked at on Amazon.com and Walmart, this one looks the most realistic. If you're in the market for a cash register for older children, then you like want one that has a credit card, a scanner, looks realistic, and comes with as realistic-looking money as you can get. For all of that, I recommend the Learning Resources Pretend & Play Calculator Cash Register. This award-winning (15 awards, and counting) cash register certainly looks a bit older than the others — which, if you've got a tween, you know how much they no longer want their stuff to look like it belongs to a kid — and it doesn't have the conveyor belt or other “extras” that younger kids would be more into. Yet it still has great functionality, and over 1,675 reviewers give it a good rating. And, I tested it out myself! Pricing inventory. It’s something that can make biz owners cringe (ask me how I know!). I mean, we have to answer icky questions like how much would someone pay for your product? How much did you spend to create it or source it? How much do similar items on the market go for and should your product even be placed in the same category as those? Of course, it’s all a numbers game (even though it feels like an emotional one). So, while it might not excite you (or me), having your child go through the motion of pricing their own store’s inventory can skyrocket their money understanding in terms of providing some sort of context to what things actually cost. I mean, how else do they know how much a steak costs in relation to how much a granola bar costs? What about a container of yogurt versus a carton of ice-cream? Let’s bring a little more intentional money play to your child’s next toy cash register play session with this More Than, Less Than Money Activity. Gather these Items: Pretend play food items, or your own food item containers that have been washed out (such as old yogurt containers, boxes from cereals, empty bags, etc.). Suggested Cash Register: Don’t have a cash register for your kid(dos) yet? When designing this activity, I used Learning Resources’ Pretend & Play Calculator Cash Register. Feeling crafty? You can make your own cash register. Suggested Reading: I’ve written a post on 9 books to read your child before their first store transaction. These could help in prep for this game. Your kid(dos) need a list of food items (aka, their inventory) that they’re going to price before cash register play begins. Note: If you’re using the three sheets of food items + prices I’ve included in the free printable, then here’s your list: jar of pickles, apple, fish, bunch of bananas, ketchup, box of pasta, tomatoes, milk, ground beef, loaf of bread, onions, orange, whole chicken, 1 jar of spice. Your kid needs to see how much these food items cost in the real world so that they can price them for their store. There are two ways you can set this, either in-home, or at an actual store. Don’t want to leave the comfort of your home? No problem. You can use the three sheets of items/prices in the free printable. Also, that’s what sales flyers are for! Grab a clipboard, and Page 2 of Your More Than, Less Than Activity Kit Printable and take your child to the store either during your next grocery store visit or as a dedicated trip just for this activity. Have them go through the process of finding each item (with some guidance), going to the right aisle, and writing in the price that they find. Have your kid(dos) fill in Page 5 of the free More Than, Less Than printable. They’ll start to see whether or not tomatoes cost more than ground beef, or if a gallon of milk costs less than a whole chicken. Now that they’ve seen a comparison of what things cost in relation to one another, they’ll have a better idea of how to price their own inventory. They don’t need to use the exact same prices as the ones they discovered; they just need to price those items correctly in relation to one another. For example, your child found that a box of cereal costs $3.99 at the store. They can price that box of cereal in their own inventory for however much they’d like, so long as it costs less than the ice-cream on their list (which costs more around $4.99 for a carton). See how that works out? You’re giving your child some real-world money context so that they can price their items accordingly instead of using some pie-in-the-sky price off the top of their heads. Ready for more? Now, the rest of their toy cash register play can begin. Gather these Items: Sale Circular for your nearby grocery store, Money Play Starter Kit free printable (see below), Toy cash register (I used the Play & Learn Cash Register by The Learning Journey while writing this article). You’ll need at least two players for this toy cash register activity (pssst: Yes, Mama Bear, you can be one of them!). Decide who is going to play Shop Clerk, and who is going to play Customer, then cut out their badges, fill in their names, and put them on. This particular Play & Learn Cash Register by The Learning Journey that I used when writing this article comes with 12 different food options and 12 different price options. You can mix and match between the two. To create an intentional money play activity for your child, ask them to come up with a list of what they want to charge for each food item as prep for the actual play (you can use Page 2 of the Money Play Starter Kit free printable). You can base this off of a coupon circular you found from your local grocery store, a trip to your actual grocery store to get a range of what these particular items cost, or just allowing them to make a guess and go with it. Tip: Is your child very particular about cash register prices lining up with the circulars? They can just use the food selector wheel on the left-side (images of the food items) of the Play & Learn Cash Register by The Learning Journey, and then make up their own prices based off of the circulars. Write down the prices they choose on their list, and go off of that. Now it’s your Customer’s turn to make a list for their store play! Use Page 3 of the Money Play Starter Kit free printable. Write down each of the 12 items that are available, and let your child circle which ones they’d like to buy. Help them search for a recipe they could make with some of the 12 items offered to them. Could be some fun imagination play. Could be a search on Supercook.com where you enter whatever ingredients you have on hand they give you recipes that match. Your toy cash register comes with pretend money, and you’ll need to divvy this up between both the Shop Clerk – to make change – and the Customer – to make purchases. Hint: You’ll want to give more of the big bills to the Customer than to the Shop Clerk, and you’ll probably want to give more change and smaller bills to the Shop Clerk than to the Customer to make the process of giving change simpler. You can also supplement with your own jar of change! Want to take your child’s play up a level? Introduce a Restock Day after a certain amount of time has passed, like 30 minutes, or 5 Customer transactions. Use Page 4 of the Money Play Starter Kit to set up the rules ahead of time, including the wholesale cost of restocking the store. Shop Clerk: On Restock Day, they need to repurchase the items available in their store (the images on the cash register scroll). And if they don’t have enough money to? Then have them choose what they can afford to restock, while putting an “X” on a list to tell the Customer what is not available. Customer: On Restock Day, these guys get a paycheck. Decide ahead of time what an appropriate amount would be to give to them based on their age and the context of this game. Pick a day of the week when you’re going to turn your kitchen/dining room/breakfast nook into a diner. You and your child will work together to choose what you are going to cook for lunch, price out each of the ingredients to get an overall cost of the meal, then adding on 10% (or however much you’d like) so that there’s a profit. How to Calculate the Cost of Individual Ingredients: How nitty-gritty you want to get with this calculation depends on how old your kids are. The younger they are, the easier you want to keep things. Calculation for younger kids: Help them find the price of the entire package of an ingredient. Then, ask them to estimate whether or not they use most of the ingredient, half of it, ¼ of it, or just a dash of it for each recipe they create. Based on their answer, either divide the price by 50% (for half of it), 25% (for ¼ of it), or just use $0.05 if a dash is used. For something like cheese, count up how many slices are in the cheese, then divide the price by the number of slices to figure out how much each slice costs. Estimating is okay – the money lesson is in your kids understanding that to create something takes money, and that they need to figure out how much so that they can also profit from the end product. Calculation for older kids: Refer to Step #5 in this article I wrote in order to figure out profit margins. There are loads of really fun pretend-play scenarios on Pinterest that you can easily add into your cash register play. 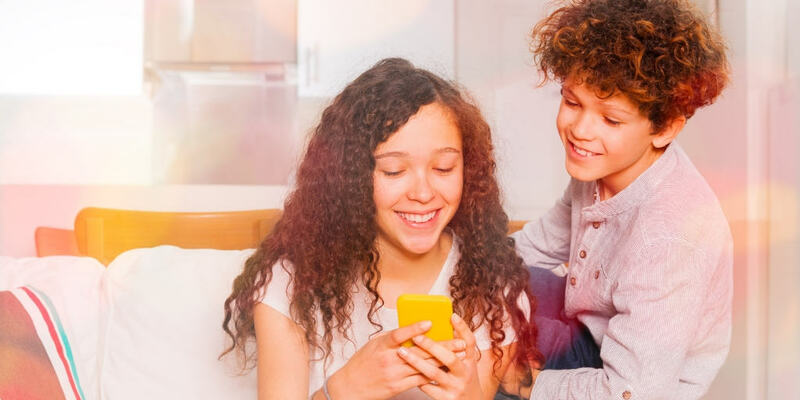 Of course, we’re talking about how to teach kids about money on this blog, so with any of these scenarios, you want to add a money component. For example, you can have your kids play veterinarian, but with a money twist – help them to actually price out each of their services, then calculate up the total office visit cost, produce a bill, have the customer pay, and give out change as needed. Movie Theater Play: Oh, my word, do I love the idea of setting up a family movie theater night with the kids in charge of concessions. You can have them even pay for the concession snacks – looking for the cheapest options, like snacks at the dollar store or Walmart, where they have theater-sized candies, or buying bulk and bagging snacks themselves – and then charging a little profit for everything. (Psst: here’s a fun way to turn this into a drive-in movie night, with free printables). What’s for Lunch Menu: You can make this even more fun by offering what’s on the printable menu, and serving it up (so long as your kids have enough pretend money to pay!). Donut Shop Math: My son is currently obsessed with donuts! I’m going to try these pretend printables with him (not sure if he’ll be okay with not getting the real thing! ), and putting a price on each of them at the end that he can charge my husband and I. Ice Cream Sundae Shop: Your child can use these printables, are these free ice cream shop printables and either playdoh or real ice-cream to open up a sweet shop. Maybe let them do this one evening after dinner for dessert. Hand out pretend money (or real money!) ahead of time to each family member, and prep your child on how to play cashier ahead of time. Veterinarian Play: Has your child gone to the vet with you? Do they even know that vets cost money? Help them play vet and pick out prices for each of the services. Stuffed animals or little zoo animals would work great with this! Smoothie Drive-Thru: This could be great pretend play, or fun real play as well – if you’ve got a blender and would like to taste some potentially yucky-tasting smoothies! Mechanic Fix-It Shop: Help your child determine a cost for each repair service offered on this free printable. You can also use old dish soap bottles and fill them with water and food dye so that they can do things like fill up the cars or change the windshield wiper fluid. Then, have them open up shop and start bringing in the customers! Zookeeper: Help your child determine the cost to feed each of the animals. Give them a budget, or have them create a budget by accepting payments for people to come visit their zoo. Then, out of their “profits”, have them pay for the food and watch as they take responsibility for feeding their animals. Sandwich Shop: Something fun to do in prep for this activity is to actually visit a sandwich shop (like Subway or another one where you can easily see them making the sandwiches). Discuss with your child the fact that each ingredient that goes into that sandwich costs a little bit of money. Have them make notes of what types of ingredients are on there. Then, use these free printables and add in costs/ingredient. Have your child make the sandwiches, then charge their customers accordingly. Coffee Shop: Your child can use these free printables to open up their own coffee shop. Save up some of your own coffee containers ahead of time, and perhaps take them on a trip to the coffee store so that they can watch the baristas in action. Remember, the whole idea is to start getting your child to think about the world in terms of money. The activities and steps above will help them to do that through the food they eat, and store transactions that they have probably watched you go through over the years. So, which step are you most interested in implementing? Any other ideas you came up with after reading through these? I’d love to hear about them below.